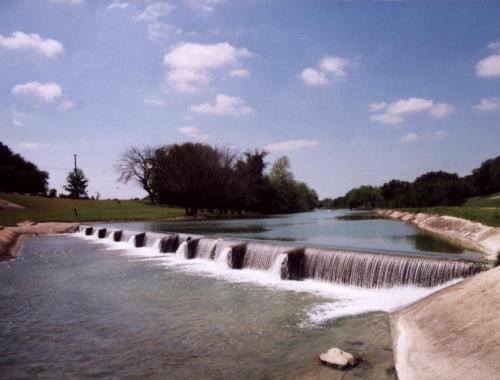 Blanco State Park and Blanco River, Blanco Texas. Just off U.S. 281 in Blanco. Dinosaurs were probably the first to enjoy this park as evidenced by tracks in the river bottom. Later, Tonkawa and Comanche tribes had sites here. 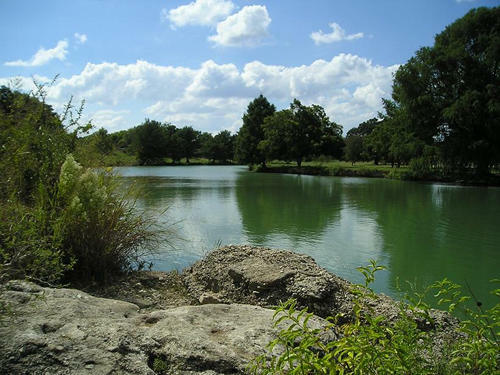 The 110-acre state park was built by the Civilian Conservation Corps in 1934. 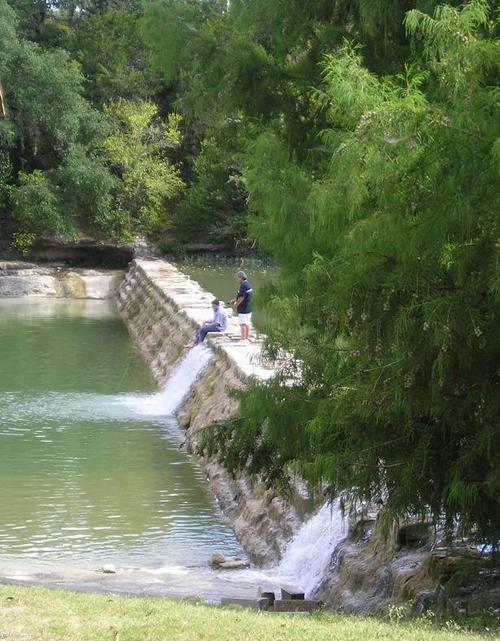 The Blanco River cascades over small dams with grassy slopes on one side, while the other bank is rockier and wooded. 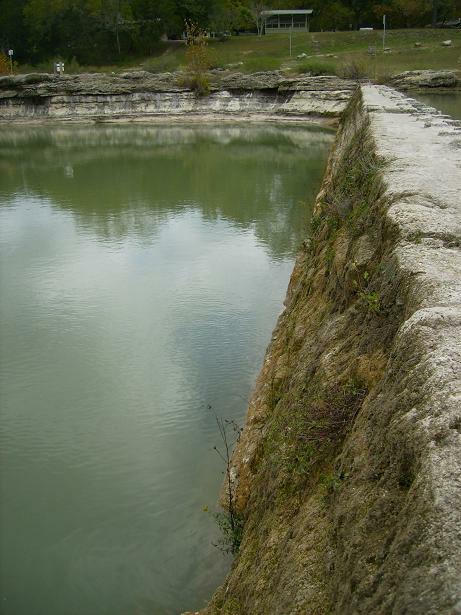 The river bottom is limestone, hence the name Blanco (white), and makes the water very clear and pretty, like a man-made swimming pool. You can access the river via ladders on either side of the dam. 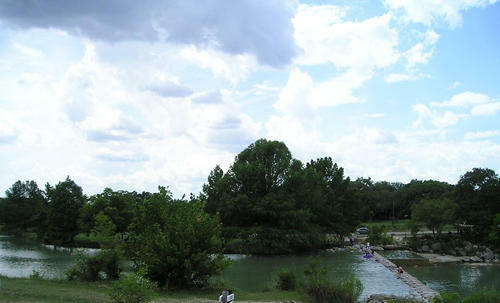 Swimming and tubing are popular, and camping, picnicking, a children's play area, hiking and concessions are available. The river is swift and shallow, but perfect for distance swimmers with more than 1,000 feet of uninterrupted length. This is sort of a plain park with sloping banks lined with willow and oak trees, but is quite scenic. You can rent tubes, canoes and boats. The Town Creek Nature Trail connects the state park to a square downtown.